Our metal tube equipment and machines include manual, automatic, semi-automatic, and intermittent motion metal tube fillers, with a variety of speeds, tube size ranges, and fill ranges depending on materials, application, machine configuration and operator dexterity. Some of our machines are equipped with stainless steel product hopper, bottom up fill, pocket rotary tube holder conveyor capable of running forward and backward. Some of our metal tube filling machines feature dual cassette tube infeed, tube cleaning, bottom up fill, no tube no fill. Most include stainless steel construction and may require Change parts to accommodate size and fill range. 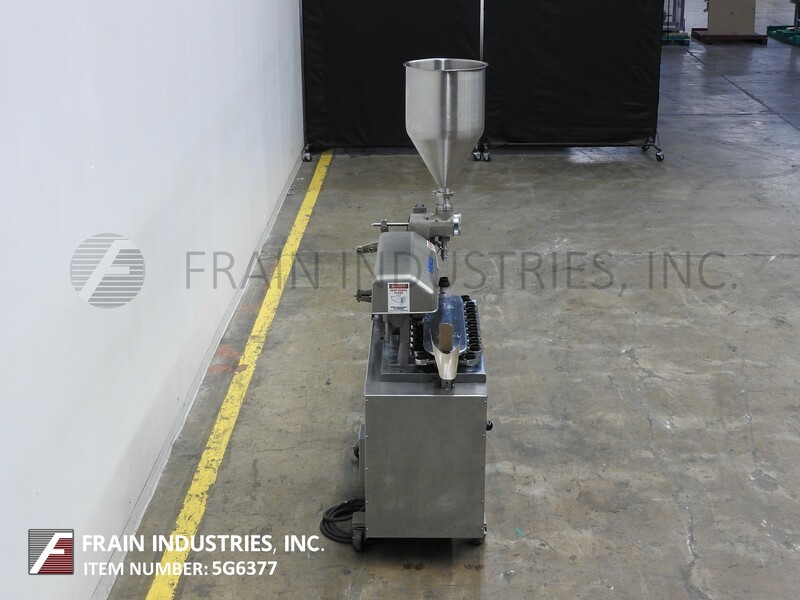 Frain is fully staffed with engineers and technicians who can completely integrate metal tube filling machines, retrofitting or reconditioning each machine to meet your exact specifications. We include in-house testing with every machine that ships, proof of concept and trial runs. Automatic, 10 station rotary tube filler, sealer capable of speeds from 10 to 60 tpm – depending on materials, application and machine configuration. Tube size range: 10mm to 50mm in Diameter; 60mm to 265mm in Height. Fill range: 2cc – 250cc. Equipped with empty tube magazine, 10 station rotary, registration, product feed manifold, 1/2" OD fill nozzle, bottom up fill, crimping stations, Omron PLC and interlocking safety guarding. Change parts required to accommodate size and fill range. Stainless steel construction.